There are a few things for me to tell you so I am sneaking this tiny post in between the FAL tutorial series. First, I got to be a part of that quilt, Circle of Friends, an amazing quilting project for Cindy and Brian who are very special friends, with contributions from more of my friends from 4 continents and many countries. You can read about it at Susan's blog Canadian Abroad here. Susan was so busy writing about everyone else that she forgot to mention how wonder she was to organize, quilt, embroider, bind and post this special project. She is the best and I am so proud to be her friend. Next, the second set of baby robins were hatching as we returned today. They are in the "alien" stage. I will document and post more pictures as the mommy robin allows. This time I get to be here instead of imposing on my photo correspondents. The eldest son's wedding was wonderful, not a glitch or a hiccup. Thank you all for your well wishes. The ceremony was at this spot, which is high on Mount Lady MacDonald overlooking Canmore, Alberta and beautiful Mount Rundle. Despite flood damage and no drinkable water, the folks of Canmore were happy to have us all arrive and they made sure that we all had the best time. We are all home now, tired and heading to sleep soon. Tomorrow there is work and laundry and more FAL tutorials too. Oh and I hope to finally, finally get in some actual sewing too. How wonderful to be a part of such a loving and caring group. Lovely Leanne. I've been loving the red robins... Keep the photos coming. so glad the wedding went ahead ok! It's a beautiful location. Congratulations to all!! So pleased that despite all the flooding, etc the wedding went off well. Glad to call you friend and looking forward to seeing you very soon. How beautiful is this quilt and how lovely for your friend. Delighted that you had a great wedding and the pics look beautiful. Glad everything went well for the wedding! Beautiful quilt!! That quilt is stunning and it's extra special knowing how so many worked on it together. I'm so glad the weddin was lovely and we finally got some beautiful sunny weather no less! Such a wonderful and thoughtfully made gift for Cindy! 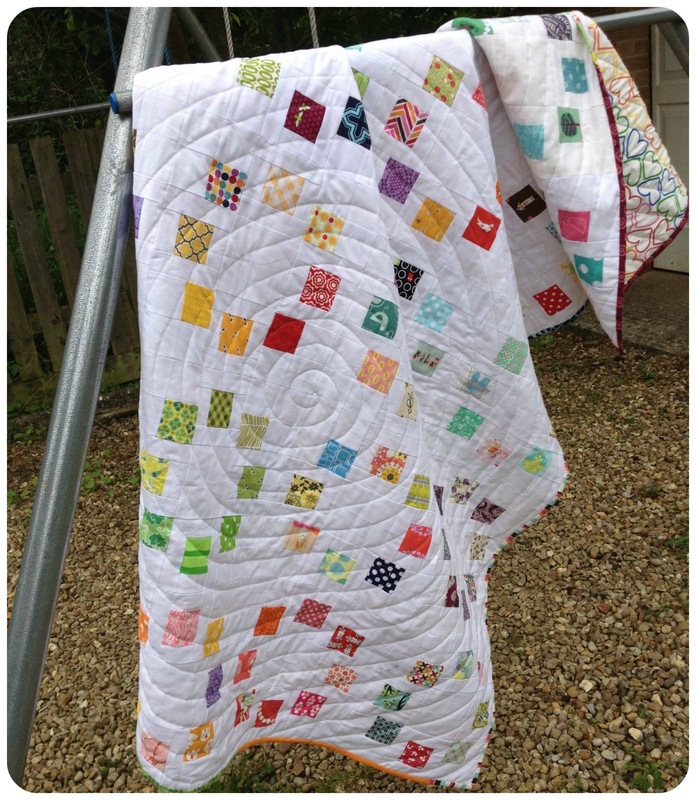 Love that quilt and the name! Glad to hear the wedding went on and was special! Happy to hear all went well with the wedding!! I'm so pleased the wedding was a success!! And I agree, Susan is wonderful! All lovely news. So glad you're doing well! What a beautiful setting for you son and his bride, it's wonderful that everything worked out. While getting my son's wedding going last year they called for rain every day and we had an outdoor reception planned. It ended up being a gorgeous day and all things fell into place - we are both lucky! I like that sweet quilt, and especially the back.